If you were injured in any type of car accident in the Florida Keys, then you should find the best Florida Keys car accident attorney to help you. Any car accident can change your life (mostly for the worse). You can sustain a variety of injuries from a car accident. This includes things like broken bones, loss of limbs, brain damage, and so on. If your car accident was caused by the negligence of another person, you can bring a car accident claim against them to get compensation for your injuries. At the Wolfson Law Firm, our Florida Keys personal injury attorneys have represented clients for their injury claims in South Florida and the Florida Keys since 1963. We offer consultations at no charge and we never take a fee unless we obtain compensation for you first. Call us anytime at (305) 285-1115 and let us explain what we can do for you. Car accidents in the Florida Keys can take many forms. It is common sense that everyone should drive defensively and responsibly. But as we all know, all too often, negligent drivers fail to follow the safety rules we all know. No matter the cause, your Florida Keys automobile accident attorney will be charged with the task of identifying not only the cause of your car accident but who is responsible. Those responsible drivers and vehicle owners must be held accountable for the harms and losses caused. Medical treatment is quite expensive in Florida and the United States at large. The serious injury you are likely to sustain in a car crash means you will have to get medical attention for your injuries. The bill from your car accident injuries can easily run into thousands of dollars. Fortunately, you may not have to pay for this if the injury was caused by the negligence of another driver who has adequate insurance. With the help of a skilled Florida Keys car accident lawyer, you may be able to get compensation for all the medical expenses required to treat you. The injuries from a car accident may mean that you are unable to work for a long period of time. If the injury stops you from working for a definite period, you may be able to get compensation for the income you were supposed to earn while you were incapacitated. 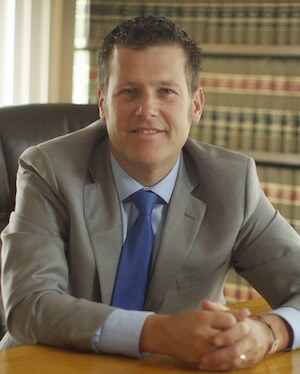 If the injuries are so serious that they prevent you from working indefinitely, you may also get compensation for the income you lose over the course of time – referred to as loss of future wages or loss of earning capacity – provided that your Florida Keys car accident attorney can identify and pursue insurance for your losses. A car accident is likely to cause extensive damage to your vehicle and other property. It normally costs a small fortune to repair or replace your vehicle from your own purse. You can include the loss of your property in the calculations for the size of compensation you will receive. Your Florida Keys car accident lawyer can assist you in getting your car repaired through your own insurance or the insurance of the at-fault driver or owner. 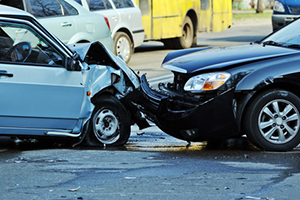 The following are some of the methods you can use to get your car accident compensation. Florida law makes it compulsory for every driver to have Personal Injury Protection Insurance. This is a no-fault insurance coverage that takes care of your loss up to a fixed amount. You can get compensation from this insurance coverage even if you weren’t the cause of the accident. Another way of getting compensation is from the negligent driver’s insurer. This comes in handy if the cost of your treatment and compensation far exceed your PIP insurance coverage. If the insurers refuse to settle your case, you have the option of bringing a personal injury lawsuit in court. At this stage, it is important that you work with a Florida Keys car accident lawyer that has court experience and a proven track record. At the Wolfson Law Firm, our Florida Keys accident lawyers proudly serve the injured victims in South Florida and Florida Keys including the communities of Tavernier, Islamorada, Key West, Layton, Bahia Honda, Stock Island, Big Coppitt Key, Key Colony Beach, Upper Matecumbe Key, Key Largo, Sugarloaf Key, North Key Largo, Lower Keys, Duck Key, Middle Keys, Upper Keys, Flamingo, Florida City and Homestead. Our bilingual personal injury team and attorneys are standing by to answer your questions and help you get the compensation and justice you are entitled to following your Florida Keys car accident. Call us now at (305) 285-1115 and let us get to work for you.